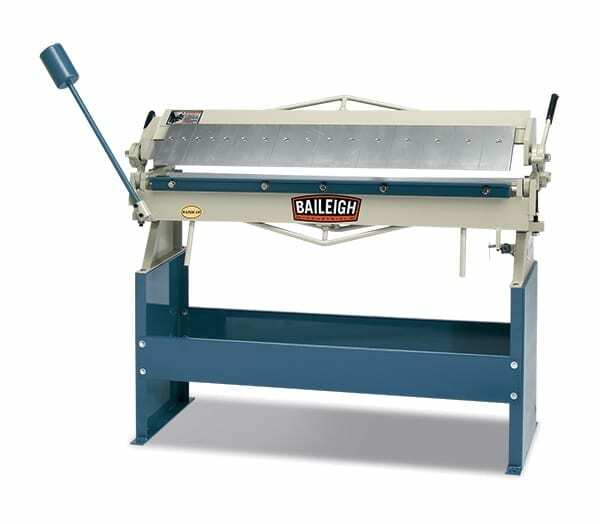 The Baileigh EW 28 English Wheel is perfect for the fabrication shop that is small on space but need a high quality tool to shape and finish sheet metal. This quality english wheel is a standalone unit that features a heavy duty stand that is built to handle the smoothing of compound curves into mild steel and aluminum sheet metal for restoration or bodywork on autos, planes, cycles and much more. 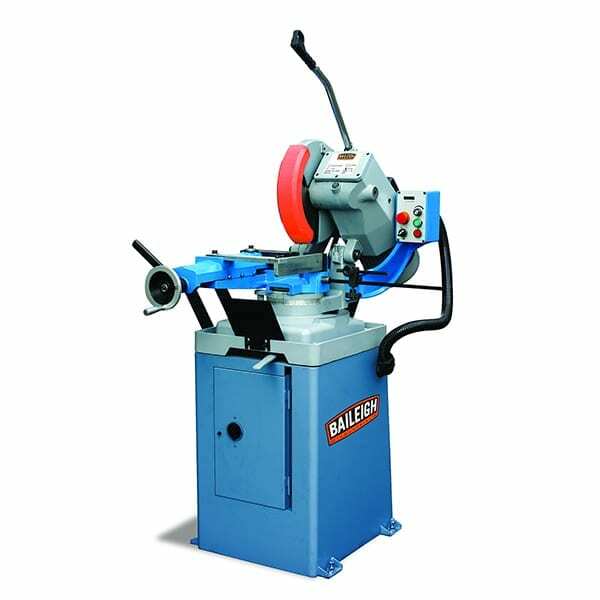 The Baileigh EW 28 English Wheel is perfect for the fabrication shop that is small on space but need a high quality tool to shape and finish sheet metal. 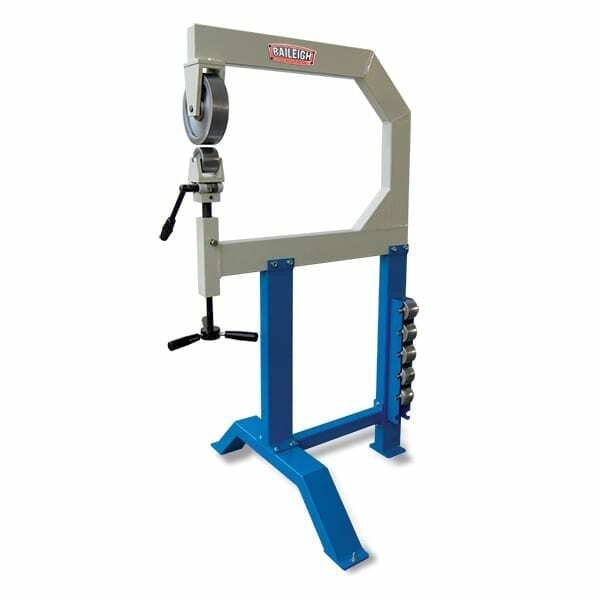 This quality english wheel is a standalone unit that features a heavy duty stand that is built to handle the smoothing of compound curves into mild steel and aluminum sheet metal for restoration or bodywork on autos, planes, cycles and much more. 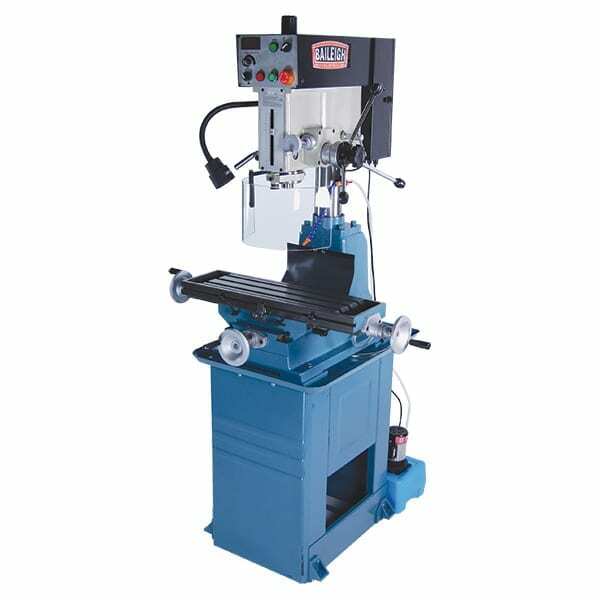 This machine has an 1.3mm mild steel capacity and has an ample 711mm throat depth. 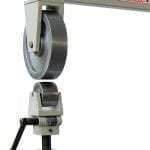 The EW-28 English wheel comes standard with an 8″ X 2″ upper roll and includes six lower anvil rolls with varying crowns. The radius included for the six lower rolls are 51mm, 76mm, 102mm, 152mm, 203mm, and 305mm. 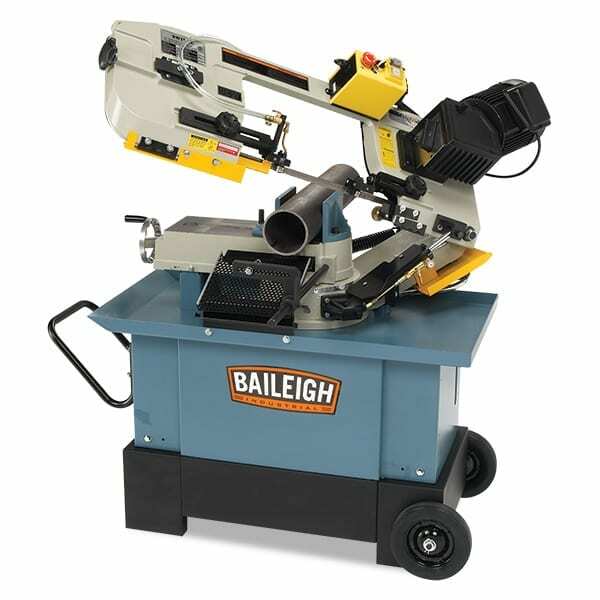 Like other Baileigh English wheels, the machine comes intact with only minor assembly required (no welding required). The frame members are constructed of heavy walled square tubing that is fully welded to help eliminate flex when forming at maximum capacity. 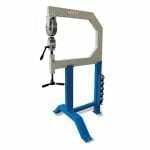 Mild Steel Capacity: 18 ga.